Preventing unplanned releases by tracking temperature changes and leaks from containers, sending automated alerts when a problem occurs. Smart lockout/tagout apps for preventing hazardous energy release from machinery via smartphone, with permissions for who can lock and unlock equipment. Safety system activation data to identify if workers are using safeguards at the appropriate times. Remote monitoring of containers and other equipment to minimize physical checks in dangerous environments like tanks and other confined spaces. More than just keeping your people safer, McKinsey estimates that IoT can reduce maintenance costs by 25%, also reducing unplanned downtime by half. IoT can help keep workers safe through sensor-enabled PPE that monitors environmental conditions faced by workers. In addition to helping manufacturers streamline industrial hygiene monitoring, IoT-enabled PPE can help keep workers safer in dangerous situations such as confined space environments. Toxic gas concentrations and other chemical exposures. Body motions (useful for ergonomic safety and man-down situations). If you were watching the news during Hurricane Harvey, you may remember the chemical explosions that caused so much concern for local residents. Essentially, flooding at a chemical plant downed its backup generators, so the company couldn’t keep a particularly volatile organic compound at a stable temperature. As the compound warmed, it became extremely unstable, leading to a series of explosions (or “popping noises” as the company rep so eloquently put it). Because the company had remote monitoring systems in place, they were able to track the situation from a safe distance without placing workers in harm’s way. Notify safety engineers if a worker falls or goes down, for instance if exposed to toxic gases. Pinpoint employee locations during an emergency to provide life-saving aid faster. Evacuate workers ahead of an imminent explosion or unplanned release. Ultimately, one of the biggest ways IoT technology can transform manufacturing safety is by increasing the volume of safety data available and minimizing the time it takes to get it. Instead of manually entering data or downloading it from individual pieces of equipment, live data goes straight to control rooms and the EHS Management System. With a continuous flow of information from equipment and people, companies can proactively monitor real-time conditions. It also means having more data to develop leading indicators that point to areas where incidents are most likely to occur. 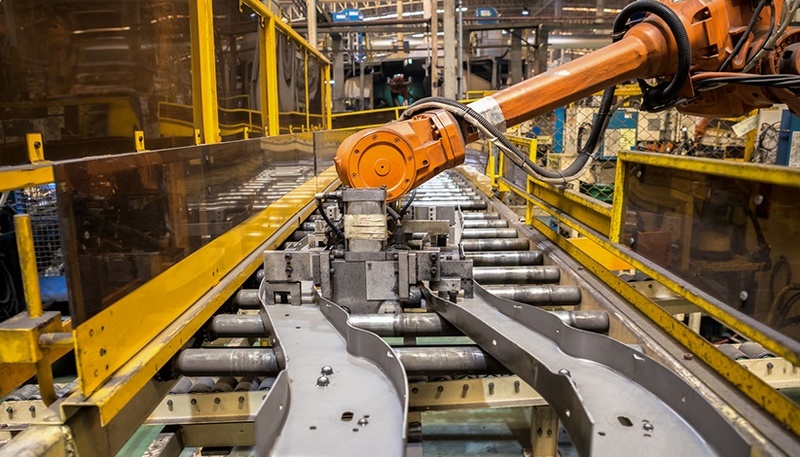 With live notification of unsafe conditions, the IoT-connected enterprise has the potential to transform even the most difficult manufacturing safety challenges.